Schwartz & Wade, 9780553511932, 336pp. In this stunning debut novel, two very different characters—a black boy who loses his home in Hurricane Katrina and a white boy in Vermont who loses his best friend in a tragic accident—come together to find healing. A hurricane, a tragic death, two boys, one marble. How they intertwine is at the heart of this beautiful, poignant book. When ten-year-old Zavion loses his home in Hurricane Katrina, he and his father are forced to flee to Baton Rouge. 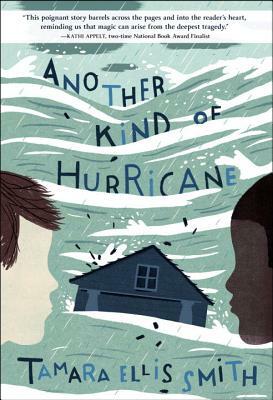 And when Henry, a ten-year-old boy in northern Vermont, tragically loses his best friend, Wayne, he flees to ravaged New Orleans to help with hurricane relief efforts—and to search for a marble that was in the pocket of a pair of jeans donated to the Red Cross. Rich with imagery and crackling with hope, this is the unforgettable story of how lives connect in unexpected, even magical, ways. Tamara Ellis Smith earned her MFA in Writing for Children and Young Adults from the Vermont College of Fine Arts. She lives in Richmond, Vermont, with her family. This is her first novel. Visit her on the Web at tamaraellissmith.com.